Research Fellow, Merck Research Laboratories, 1988-94. The total synthesis and exploration biology of various medicinally important natural products are important parts of my group's research. These interests include the development of new synthetic methodologies, general strategies for synthesis and the study of important structure-function relationships. 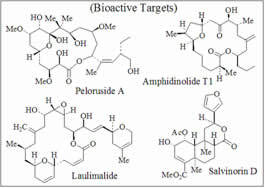 In this context, we are investigating the chemistry and biology of anticancer agents laulimalide, amphidinolides, peloruside A and opioid receptor antagonist salvinorin D. Another important research area in my group is the design and synthesis of molecular probes and nonpeptidal turn-mimics for biologically active peptides and proteins. We are currently studying critical ligand-binding site interactions of various proteolytic enzymes. This includes, memapsin 2, a very significant target for Alzheimer’s disease as well as, HIV protease whose clinical effectiveness for the treatment of AIDS has been well recognized. Furthermore, we are involved in the development of asymmetric reactions based upon various intermolecular or intramolecular metal chelations. 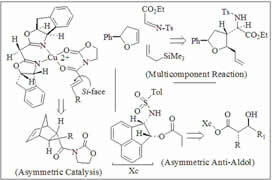 Of particular interest, we are investigating a variety of asymmetric syntheses including syn- and anti- selective aldol, hetero Diels-Alder, conjugate addition and multicomponent (MCR) reactions. “Dimerization of HIV-1 protease occurs through two steps relating to the mechanism of protease dimerization inhibition by darunavir.” H. Hayashi, N. Takamune, T. Nirasawa, M. Aoki, Y. Morishita, D. Das, Y. Koh, A. K. Ghosh, S. Misumi and H. Mitsuya, Proc. Natl. Acad. Sci. USA, 2014, 79, 5697-5709. “An enantioselective synthesis of a MEM-protected aetheramide A derivative.” A. K. Ghosh, K. V. Rao, S. Akasapu, Tetrahedron Lett. 2014, 55, 5191-5194. “Coronaviruses Resistant to a 3C-like Protease Inhibitor Are Attenuated for Replication and Pathogenesis Revealing a Low Genetic Barrier but High Fitness Cost of Resistance” Xufang Deng, Sarah E. St. John, Heather L. Osswald, Amornrat O’Brien, Bridget S. Banach, Katrina Sleeman, Arun K. Ghosh, Andrew D. Mesecar, and Susan C. Baker J. Virol. 2014, DOI: JVI.01528-14, ASAP. “A convergent synthesis of carbocyclic sinefungin and its C5 epimer.” A. K. Ghosh, Kai Lv Eur. J. Org. Chem. 2014, ASAP. "Design and synthesis of potent macrocyclic HIV-1 protease inhibitors involving P1-P2 ligands." A. K. Ghosh, G. E. Schiltz, L. N. Rusere, H. L. Osswald, D. E. Walters, M. Amano, H. Mitsuya Org. Biomol. Chem. 2014, 12, 6842–6854. "FeCl3-catalyzed tandem Prins and Friedel–Crafts cyclization: a highly diastereoselective route to polycyclic ring structures” A. K. Ghosh, C, Keyes, A. M. Veitschegger Tetrahedron Lett. 2014, 55, 4251–4254. “Enantioselective Total Syntheses of FR901464 and Spliceostatin A and Evaluation of Splicing Activity of Key Derivatives”A. K. Ghosh, Z.-H, Chen, K. A. Effenberger, M. S. Jurica J. Org. Chem.2014, 79, 5697–5709. “Total Synthesis of GEX1Q1, Assignment of C5 Stereoconfiguration and Evaluation of Spliceosome Inhibitory Activity” A. K. Ghosh, N. Ma Effenberger, K. A.; Jurica, M. S. Org. Lett. 2014, 16, 3154-3157. “An intramolecular cascade cyclization of 2-aryl indoles: efficient methods for the construction of 2,3-functionalized indolines and 3-indolinones.” A. K. Ghosh; Z.-H, Chen Org. Biomol. Chem. 2014, 12, 357-3571. “BACE1 inhibitors (β-secretase) for the treatment of Alzheimer's Disease,” A. K. Ghosh and H. L. Osswald. Chem. Rev. 2014, 43, 6765-6813. "A mouse model for Betacoronavirus subgroup 2c using a bat coronavirus strain HKU5 variant." S. Agnihothram; B. L. Yount, Jr.; E. F. Donaldson; J. Huynh; V. D. Menachery; L. E. Gralinski; R. L. Graham; M. M. Becker; S. Tomar; T. D. Scobey; H. L. Osswald; A. Whitmore; R. Gopal; A. K. Ghosh; A. Mesecar; M. Zambon; M. Heise; M. R. Denison; R. S. Baric mBio 2014, 5, e00047- e00014. "Coherence between Cellular Responses and in Vitro Splicing Inhibition for the Anti-tumor Drug Pladienolide B and Its Analogs," K. A. Effenberger; D. D. Anderson; W. M. Bray; B. E. Prichard; N. Ma; M. S. Adams; A. K. Ghosh; M. S. Jurica. J. Biol. Chem. 2014, 289, 1938-1947. "Conserved hydrogen-bonding network of P2 bis-tetrahydrofuran containing HIV-1 protease inhibitors (PI) with protease active site amino acid-backbone aid in their activity against PI-resistant HIV." R. S. Yedidi; H. Garimella; M. Aoki; H. Aoki; D. V. Desai; S. B. Chang; D. A. Davis; W. S. Fyvie; J. D. Kaufman; D. W. Smith; D. Das; P. T. Wingfield; K. Maeda; A. K. Ghosh; H. Mitsuya, Antimicrob. Agents Chemother. 2014, 58, 3679-3688. "Metabolism-directed structure optimization of benzimidazole-based Francisella tularensis enoyl-reductase (FabI) inhibitors." Y.-Y. Zhang; Y. Liu; S. Mehboob; J.-H. Song; T. Boci; M. E. Johnson; A. K. Ghosh; H. Jeong, Xenobiotica 2014, 44, 404-416. "Platensimycin and Platencin" A. K. Ghosh and K. Xi. In Natural Products in Medicinal Chemistry, edited by Stephen Hanessian 2014, p-271-300. "Enantioselective Syntheses of FR901464 and Spliceostatin A: Potent Inhibitors of Spliceosome" A. K. Ghosh, Z. Chen Org. Lett. 2013, 5088-5091. "Enantioselective Total Synthesis of Macrolide (+)-Neopeltolide" A. K. Ghosh, K. Shurrush, Z. Dawson Org. Bimol. Chem. 2013, 11, 7768-7777. "GRL-04810 and GRL-05010, Difluoride-Containing Nonpeptidic HIV-1 Protease Inhibitors (PIs) That Inhibit the Replication of Multi-PI-Resistant HIV-1 In Vitro and Possess Favorable Lipophilicity That May Allow Blood-Brain Barrier Penetration." P. M. Salcedo Gomez, M. Amano, S. Yashchuk, A. Mizuno, D. Das, A. K. Ghosh, Mitsuya, H. Antimicrob. Agents Chemother. 2013, 57, 6110-6121. 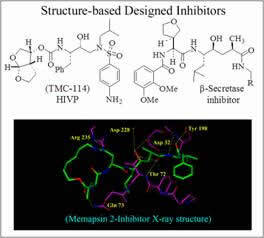 "Anti-HIV Protease Inhibitor Darunavir" A. K. Ghosh and B. D. Chapsal. In Introduction to Biopharmaceuticals and Small Molecule Drug Research and Development: theory and case studies. Edited by Robin Ganellin, Roy Jefferis and Stan Roberts. Elsevier 2013, Chapter 13, 355-384. "S-Adenosyl-Homocysteine Is a Weakly Bound Inhibitor for a Flaviviral Methyltransferase." H. Chen, B. Zhou, M. Brecher, N. Banavali, S. A. Jones, Z. Li, J. Zhang, D. Nag, L. D. Kramer, A. K. Ghosh, H.Li, PLoS ONE 2013, 8, e76900, 1-12. "Metabolism-Directed Structure Optimization of Benzimidazole-Based Francisella tularensis Enoyl-Reductase (FabI) Inhibitors" Y.-Y. Zhang, S. Mehboob, J.-H. Song, T. Boci, M. E. Johnson, H. Jeong, A.K. Ghosh Xenobiotica 2013, 1-13. "The Structural Evolution of β-Secretase Inhibitors: A Focus on the Development of Small-Molecule Inhibitors" S. Butini, S. Brogi, E. Novellino, G. Campiani, A. K. Ghosh, M. Brindisi, S. Gemma Current Topics in Medicinal Chemistry, 2013, 13, 1787-1807. "Highly Potent HIV-1 Protease Inhibitors with Novel Tricyclic P2-ligands: Design, Synthesis, and Protein-ligand X-Ray Studies" A. K. Ghosh, G. L. Parham, C. D. Martyr, P. R. Nyalapatla, H. L. Osswald, J. Agniswamy, Y.-F. Wang, M. Amano, I. T. Weber, H. Mitsuya Journal of Medicinal Chemistry 2013, 56, 6792–6802. "P2' benzene carboxylic acid moiety is associated with decrease in cellular uptake: evaluation of novel nonpeptidic HIV-1 proteaseinhibitors containing P2 bis-tetrahydrofuran moiety" R. S. Yedidi, K. Maeda, W. S. Fyvie, M. Steffey, D. A. Davis, I. Palmer, M. Aoki, J. D. Kauffman, S. J. Stahl, H. Garimella, D. Das, P. T. Wingfield, A. K. Ghosh, H. Mitsuya Kovalevsky Antimicrob. Agents Chemother. 2013, 57, 4920-4927. "Joint X-ray/Neutron Crystallographic Study of HIV-1 Protease with Clinical Inhibitor Amprenavir: Insights for Drug Design." I. T. Weber, M. J. Waltman, M. Mustyakimov, M. P. Blakeley, D. A. Keen, A. K. Ghosh, P. Langan, A. Y. Kovalevsky Journal of Medicinal Chemistry 2013, 56, 5631-5635. "Synergistic Inhibitor Binding to the Papain-Like Protease of Human SARS Coronavirus: Mechanistic and Inhibitor Design Implications." H. Lee, S. Cao, K. E. Hevener, L. Truong, J. L. Gatuz, K. Patel, A. K. Ghosh, M. E. Johnson Chem. Med. Chem. 2013, 8, 1361-72. "Extreme Multidrug Resistant HIV-1 Protease with 20 Mutations Is Resistant to Novel Protease Inhibitors with P1'-Pyrrolidinone or P2-Tris-tetrahydrofuran" J. Agniswamy, C.-H. Shen, Y.-F. Wang, A. K. Ghosh, K. V. Rao, C.-X. Xu, J. M. Sayer, J. M. Louis and I. T. Weber Journal of Medicinal Chemistry 2013, 56, 4017-4027. "Candida albicans secreted aspartic proteases 4-6 induce apoptosis of epithelial cells by a novel Trojan horse mechanism" H. Wu, D. Downs, K. Ghosh, A. K. Ghosh, P. Staib, M. Monod and J. Tang FASEB Journal, 2013, 27, 2132-2144. "Bifunctional Cinchona Alkaloid-Squaramide-Catalyzed Highly Enantioselective aza-Michael Addition of Indolines to α, β-Unsaturated Ketones" A. K. Ghosh and B. Zhou. Tetrahedron Lett. 2013,54, 3500-3502. "GRL-0519, A Novel Oxatricyclic-Ligand-Containing Nonpeptidic HIV-1 Protease Inhibitor (PI), Potently Suppresses the Replication of a Wide Spectrum of Multi-PI-Resistant HIV-1 Variants In Vitro" M. Amano, Y. Tojo, P. M. Salcedo-Gomez, J. R. Campbell, D. Das, M. Aoki, C-X. Xu, K. V. Rao, A. K. Ghosh and H. Mitsuya.Antimicrobial Agents and Chemotherapy 2013, 57, 2036-2046. "Enantioselective Synthesis of Spiro [cyclohexane-1,3-indolin]-2¢-ones Containing Multiple Stereocenters via Organocatalytic Michael/Aldol Cascade Reactions" A. K. Ghosh and B. Zhou. Tetrahedron Lett. 2013, 54, 2311-2314. "Novel P2 Tris-tetrahydrofuran Group in Antiviral Compound 1 (GRL-0519) Fills the S2 Binding Pocket of Selected Mutants of HIV-1 Protease" H. Zhang, Y-F. Wang; C-H. Shen, J. Agniswamy, K. V. Rao,C. X. Xu, A. K. Ghosh, R. W. Harrison and I. T. Weber. J. Med. Chem. 2013, 56, 1074-1083. "Selective inhibition of the West Nile virus methyltransferase by nucleoside analogs" H. Chen, L. Liu, S. A. Jones, N. Banavali, J. Kass, Z. Li, J. Zhang, L. D. Kramer, A. K. Ghosh and H. Li. Antiviral Research 2013, 97, 232-239. 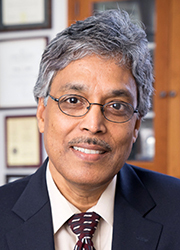 "Enantioselective Total Synthesis of Pladienolide B: A Potent Spliceosome Inhibitor" A. K. Ghosh and D. D. Anderson. Org. Lett. 2012, 14, 4730-4733. "Enantioselective Total Synthesis of (+)-Lithospermic Acid" A. K. Ghosh, X. Cheng and B. Zhou. Org. Lett. 2012, 14, 5046-5049. "Enhancing Protein Backbone Binding - A Fruitful Concept for Combating Drug-Resistant HIV" A. K. Ghosh, D. D. Anderson, I. T. Weber, H. Mitsuya. Angew. Chem. Int. Ed. 2012, 51, 1778-1802. "Lasonolide A, a potent and reversible inducer of chromosome condensation" Y-W Zhang, A. K. Ghosh, Y. Pommier, Cell Cycle 2012, 11, 4424-4435. "Developing β-secretaseinhibitors for treatment of Alzheimer's disease", A. K. Ghosh, M.Brindisi and J. Tang. J. Neurochem. 2012, 120, 71-83. "A Stereoselective Synthesis of (-)-Viridiofungin A Utilizing a TiCl4-Promoted Asymmetric Multicomponent Reaction", A. K. Ghosh and J. Kass.Org. Lett. 2012, 14, 510-512. "Substituent effects on P2-Cyclopentyltetrahydrofuranyl Urethanes: Design, Synthesis, and X-ray studies of potent HIV-1 Protease Inhibitors", A. K. Ghosh, B. D. Chapsal, M. Steffey, J. Agniswamy, Y.-F. Wang, M. Amano, I. T. Weber, H. Mitsuya. Bioorg. Med. Chem. Lett. 2012, 22,2308-2311. "Stereoselective Synthesis of Both Tetrahydropyran Rings of the Antitumor Macrolide, (-)-Lasonolide A", A. K. Ghosh and G.-B. Ren.J. Org. Chem. 2012, 77,2559-2565. "Diastereoselective Synthesis of Substituted Tetrahydropyrans by Cu(II)-Bisphosphine Catalyzed Olefin Migration and Prins Cyclization", A. K. Ghosh, J. Kass, D. R. Nicponski, and C. Keyes. Synthesis. 2012,44, 3579-3589. "Critical differences in HIV-1 and HIV-2 protease specificity for clinical inhibitors", Y. Tie, P. Boross, Y.-F. Wang, T.-Y. Chiu, A. K. Ghosh, J. Tozser, R. Harrison, I. Weber. Protein Science,2012, 21, 339-350. "Synthesis of Functionalized 4-Methylenetetrahydropyrans by Oxidative Activation of Cinnamyl or Benzyl Ethers" A. K. Ghosh and X. Cheng. Tetrahedron Lett. 2012, 53, 2568-2570. "Potent Antiviral HIV-1 Protease Inhibitor GRL-02031 Adapts to the Structures of Drug Resistant Mutants with Its P1'-Pyrrolidinone Ring", Y-C. E. Chang, X-X. Yu, Y. Zhang, Y. Tie, Y.-F. Wang, S. Yashcuk, A. K. Ghosh, R. W. Harrison, I. T. Weber. J. Med.Chem. 2012, 55, 3387-3397. "TiCl4-PromotedTandem Carbonyl or Imine Addition and Friedel-Crafts Cyclization: Synthesisof Benzo-fused Oxabicyclooctanes and Nonanes" A. K. Ghosh, C. D. Martyr,C.-X. Xu. Org. Lett. 2012, 14, 2002-2005. "A Tandem Olefin Migration and Prins Cyclization using Cu(OTf)2-Bisphosphine Complexes: An Improved Synthesis of Functionalized Tetrahydropyrans",A. K. Ghosh, D. R. Nicponski, J. Kass. Tetrahedron Lett. 2012,53, 3699-3702. "Inhibition of anthrax lethal factor: lability of hydroxamate as a chelating group", F. Li, I. Chvyrkova, S. Terzyan, N. Wakeham, R. Turner, A. K. Ghosh,X. C. Zhang, J. Tang. Appl. Microbiol. Biotechnol. 2012, 94, 1041-1049. "Structure-based Design,Synthesis and Biological Evaluation of Dihydroquinazoline-Derived Potent b-Secretase Inhibitors" A. K. Ghosh, S. Pandey, S. Gangarajula, S. Kulkarni, D. D. Anderson, N. S Gavande, X. Xu, X. Huang, and J. Tang. Bioorg. Med. Chem.Lett.2012,22, 5460-5465. "Total Synthesis of Potent Antitumor Macrolide, (-)-Zampanolide: An Oxidative Intramolecular Cyclization-Based Strategy" A. K. Ghosh, X. Cheng, R. Bai, E. Hamel. Eur. J. Org. Chem. 2012, 4130-4139. "Structure-Based Design of Highly Selective Beta-Secretase Inhibitors: Synthesis, Biological Evaluation, and Protein-Ligand X-ray Crystal Structure" A. K. Ghosh, K. V.Rao, N. D. Yadav, D. D. Anderson, N. Gavande, X. Huang, S. Terzyan, and J.Tang. J. Med. Chem. 2012, 55, 9195-9207.